Yesterday I had done a 10 minute ride around Otjiwarongo to check if the back pain would allow me to continue cycling. My theory was that cycling was perhaps even a good thing to loosen everything up a bit. I was also growing impatient – it’s never fun to stay put in a place if you prefer to be moving. I knew there would be 118 km to cycle today, and in Namibian style I didn’t expect there to be anything in between Otjiwarongo and Otavi. Much to my surprise I spotted a gas station with 30 km to go, just at the hottest time of the day. When the water in your bottles is so hot that it is almost impossible to drink, you have no idea how nice it is to be able to buy a cold coke! 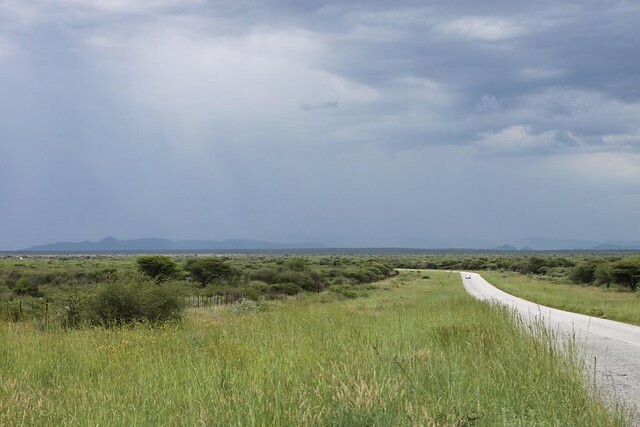 The northern park of Namibia receives a lot more rain compared to the south. This means that the landscape is much greener. Today I was enjoying the shade under a big thundercloud for the last part of the day. In other parts of the world I would much prefer sunshine and blue skies, but in Southern Africa anything that can give you a break from the sun is a blessing. Arriving in Otavi, I realized that the cheapest hotel in town was 30$ a night. Somewhat problematic as I would have preferred to stay a couple of days until the back is back in shape. Now I think I will be forced to hit the road again tomorrow. must ask yourself which can be you prepared to play with poker. Poker is quite a popular sport that has gone mainstream. others, but instead attempt to locate the best poker hand to win. be experienced player, rather than a novice moreover it can help. perform a study if you’re a newcomer to internet poker. There are some fundamentals which you’ll need to understand before you hit the poker rooms if you’re a newcomer to poker. you like poker, poker players and competing. Poker is a game today. to play . Digital poker enables you to expand your acquaintances too.